In this lesson, we will learn how to decide if the number of objects (at most 5) in a group is less than that in another by matching and counting. Engy has two bags of marbles. The number in Bag B is less than the number in Bag A. 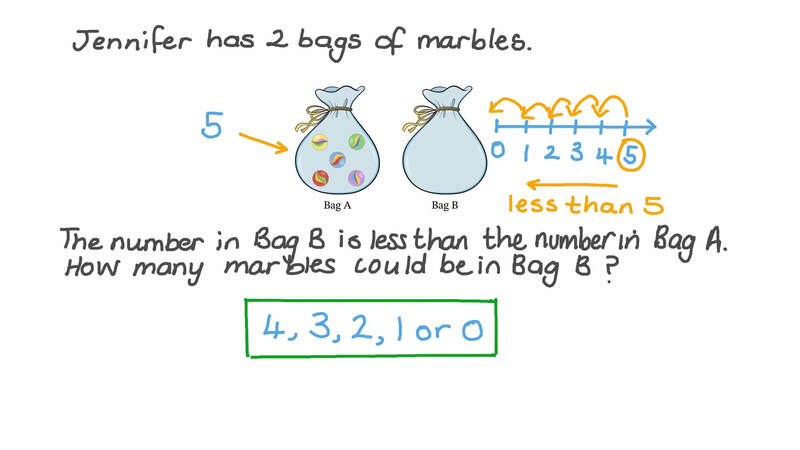 How many marbles could be in Bag B?